Hey guys! First off, I am new to the forum. I just want to say thanks to the community for much of the good stuff people can find on here. Please keep unnecessary comments to your selves. So, I I tried looking around for a PLM B-series turbo manifold review on google search, but unfortunately I was unable to find useful information. 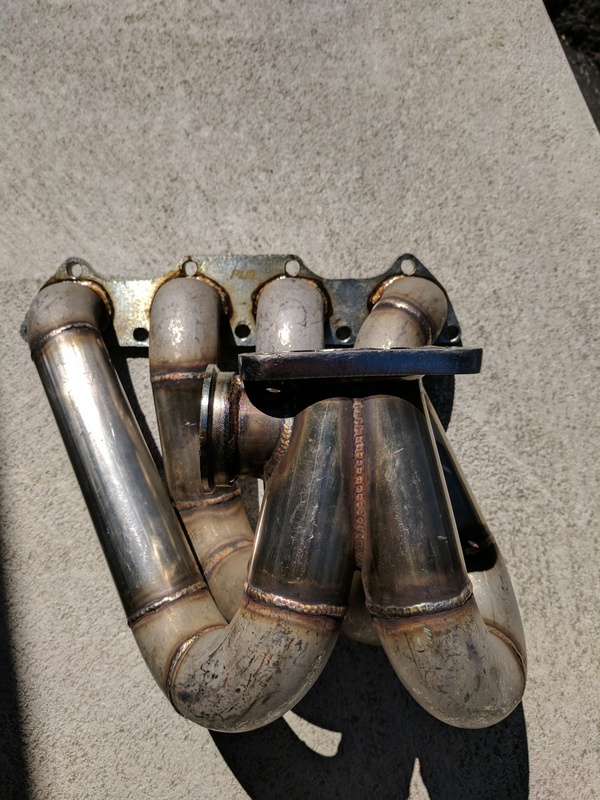 I decided to buy one myself to see if they were really worth buying or not--I mostly heard good reviews on PLM's replica headers. Upon receiving the manifold, I was immediately disappointed. First off, the quality out of the box looks horrible. 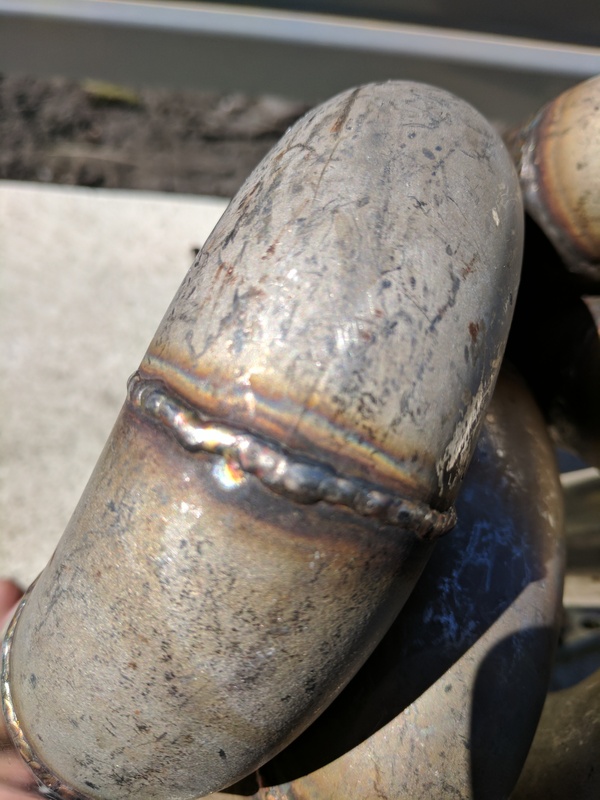 Some of the welds, if not most, don't look like they are even tig welded. You can tell that the material was obviously not cleaned. There is no sign of back purging--take a look at the collector area (I had a fabricator look at the manifold and agreed with most of what I had found). From just looking at these few details, I immediately returned it. I just don't want to deal with problems in the future. I mean yeah they ported it, but the more important parts of this manifold are just bad quality. Well, I posted some pictures. I hope this helps people that are looking into buying a PLM turbo manifold. My advice is to spend the extra Benjamins and buy a proven, quality manifold. I myself will probably go with Sheepey Built or Go Auto. Like I said hope this helps many people out there, and yes! I know people say one here keep saying to spend the extra money, but I wanted to see for myself. I bought an AC friendly ramhorn from them and immediately resold it. Most "tig welded" ebay junk is actually mig'd and lightly tig'd over to make them look authentic. I've since gone with an RLD Fab and have been very happy. Traveling 300 roundtrip twice a month, I needed something reliable and the PLM definitely did not cut it! PLM is garbage quality, but even for them that looks horrendous. That doesn't even look like stainless, some of that looks like mild steel. 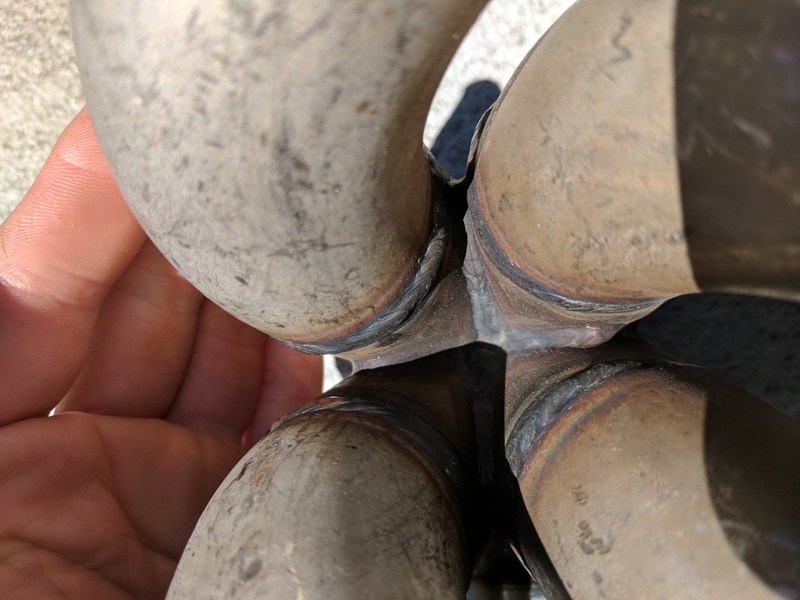 Welds are crap too... You could have DIY'd a better manifold. Good review, I'm sure there are many people that will be happy to see this and hopefully save a lol more to buy a better manifold. 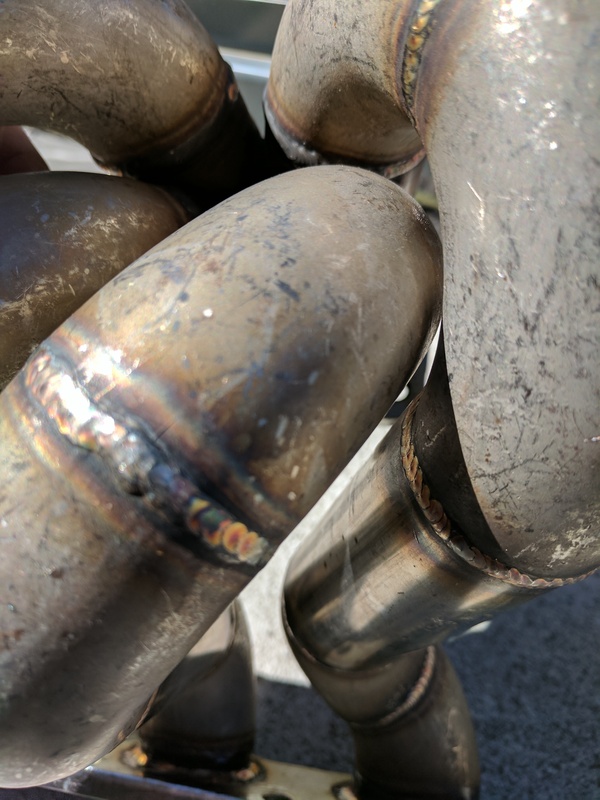 I, myself bought a used go auto set (mani, downpipe, and dumptube) and couldn't be happier with them. 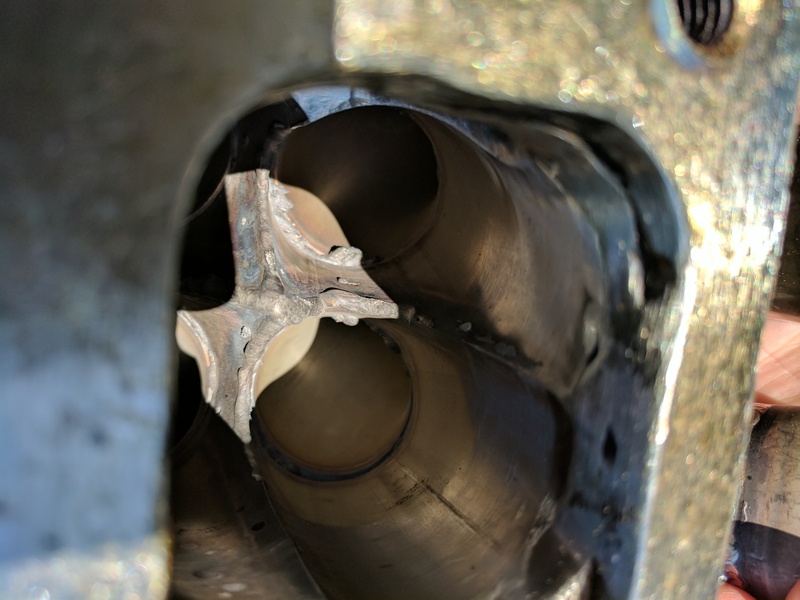 customer ordered a mini-ram from them, supposedly had it in stock which was a huge point he ordered it from them since its his only car, took 6 weeks to get for one; second issue this was on a d-series with simple garrett t3/t5 57 trim turbo, no matter what you did, what fitting was used, the oil return was completely level and that was with the bung on the oil pan being right at the oil level in the pan with 4 quarts of oil. mini-rams always fit that way. That was considered as common knowledge for that style manifold. On go-auto works's site they even specifically state that their manifolds take several weeks to make. They have the materials in stock, but it makes no sense to have pre-fabled manifolds for the possibility of someone wanting that particular style when those materials could get a faster sale elsewhere for another type of manifold. I believe your expectations may have been a bit unrealistic for the industry despite what you may have been used to by other manufacturers and vendors. any further discussion should go to the sales feedback forum, or contact them directly with your grievance. Believe it or not, that's all tig welded. Not well. 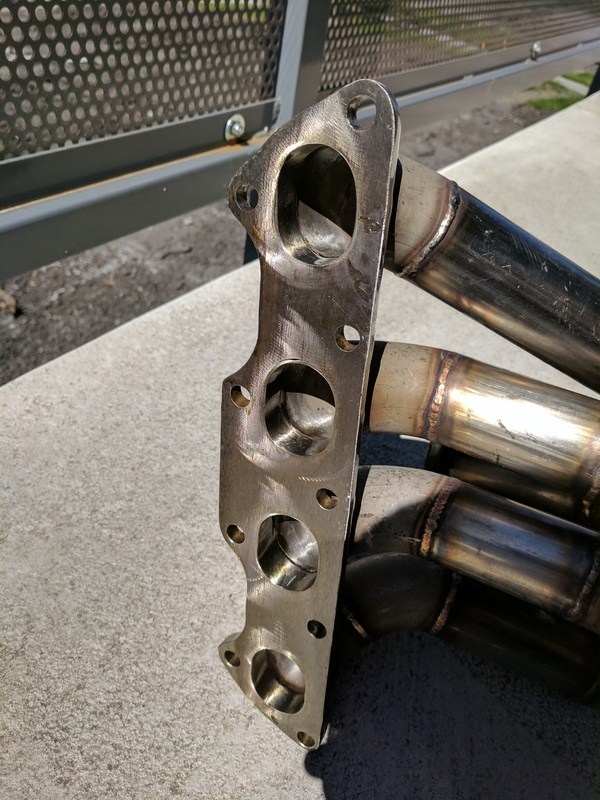 Good enough for an amateur, building his own manifold. But can you expect better from a company known for making knockoffs? Pick two, sacrifice the third. The outside of the collector looked mig welded, but I gave it a chance of being a majorly bad tig weld. No matter how it was welded, it all looks bad. Note, your customer may have been misinformed or mislead you. Every listing for GO-AUTOWORKS shows a build/lead time. If you call, you will get quoted the same build/lead time on any fabrication part. Manifolds here stay in rotation and have a very short, if any shelf life sitting. We also sell a oil drain kit specific for the mini rams to make the install easy breezy. All you have to do is call and ask.